Everyone watched Tiger over the weekend with great anticipation. The first question was, will he make the cut. The answer was yes, he did make the cut shooting a 73 and 70 respectively. After having made the cut the next question was, where would he finish. I’m sure there were lots of projections that had him in the middle of the pack. To the shock of the masses, he went out on day three and put up an 85! There would be no middle of the pack for Tiger. He finished last in the event with a 4 day total of 302. Had he shot a repeat of his first two days he would have finished tied for 40th along with Stricker, Villegas, Van Pelt and others. Alas he did not. He did however play all four days unlike other notables such as Rickie Fowler, K.J. Choi, Jason Day, Ernie Els among others. Interestingly enough, there was not much talk about those who missed the cut..this as we all know, was caused by the Tiger Effect. So let’s get back to his numbers and how they relate to a bell curve and how even at the highest level of play, the bell curve is ever-present. We all remember the Bell Curve from school, don’t we? Mrs. Smith would get up in front of the class and declare that the test we were about to take would be graded on a Bell Curve…so get your pencils out, sit up straight and when I say begin, you may turn your papers over…. Ahh, the memories of days gone by and the joys of test taking. In the end, there’s an average score, with the majority of test takers falling into that category. Of course there are the highs and the lows, and all the scores find their way on a graph. The bulk of us find ourselves smack dab in the middle. Not unlike the scoring average of every golfer who plays, even those on the tour. Here is an example. You head out on a Saturday to play with your friends. Your handicap is a 13, you feel great and you’re hitting the ball like nobody’s business. You make a rough calculation that you’ll probably shoot anywhere from 80 – 85 today and off you go! The round unfolds and things are not going quite as you had anticipated. A couple of doubles and a triple and your number is climbing! That’s ok you tell yourself, you have 6 holes left to play. “If I just par 4 of the last 6 holes and birdie the other two, I’ll be ok.” No problem! Well, the numbers you end up writing down on the card, are nowhere near the estimated calculation you’ve made to save the day. Your finishing score? 91. You are beside yourself. “What?! A 91?..how did this happen?” Actually, the 91 is right within in your range of scoring. The problem is, it’s on the higher end of your “bell curve” of scores and you only want to see the lower end. Here’s the dilemma….none of us want to believe we will have any more high scores, especially after our most recent handicap update! Now some of our scores are low (we love those), some are high (not our favorite) and the rest are about average. 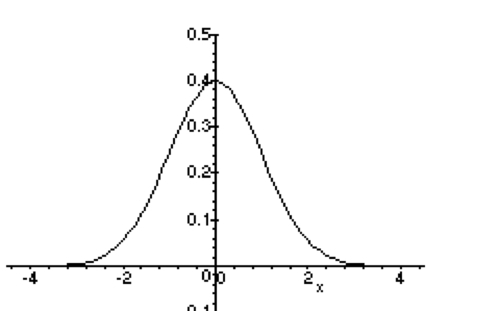 In statistics, the bell curve represents normal distribution. The shape of the curve indicates that the majority of scores will concentrate in the center with a decrease on either side. If we take all of our scores and plot them on a graph, we’re likely to see the beautiful bell. The 91 is in there along with the awesome 80 we shot the last week. They’re all part of the mix and the truth of the matter is, we can’t control or even predict when or which score will find its way to the score card! In fact, statistics prove that we will play average or better only 50% of the time. This is essentially what happened to Tiger. His scoring average right now is just around 74. If you plunk a bell curve smack dab on his scoring average number, add 9 shots on either side, he shoots a 63 on a great day, 83 on a less than desirable day. Tiger happened to add two on top of that for good measure. The interesting thing here is the last day he shot right on his scoring average number, 74. Alas the bell curve is alive and well in all of us. So what can we come to expect in this example? What we can always count on is that we WILL have a final score at the end of the round and it WILL be within our estimated scoring range. The more we understand and accept our Bell Curve and all the scores that lie within it, the more we take the pressure off our need to “post a low number”. Embrace YOUR Bell Curve and you’ll enjoy the game more than you ever thought you could. Power to the Bell!! This entry was posted in Fun and Interesting and tagged Average Score, Bell Curve, cathy macpherson, Cathy MacPherson Golf, Golf Channel Academy, Golf Instruction, Golf Lesson, Golf Professional, LPGA, lpga professional, PGA Tour, Standard Deviation, Tiger Woods, Top 50 Teacher. Bookmark the permalink. 1 Response to Tiger Woods and the 85..It’s Just A Bell Curve! Well said. A golfer that expects to shoot “their best” every time they tee it up is like a poker player expecting to be dealt pocket aces every time. Just came across your blog and gave it a follow. Always excited to come across other golf writers.